Even though the warm weather is holding on strong, it’s that time of year again – Back to School! 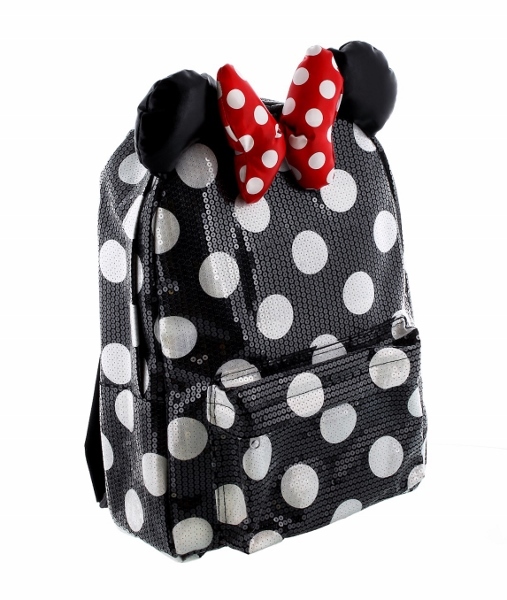 Whether your child has returned to the classroom already or won’t do so for another few weeks, you’ll find some great accessories at the parks to add a little “Disney magic” to their school day. 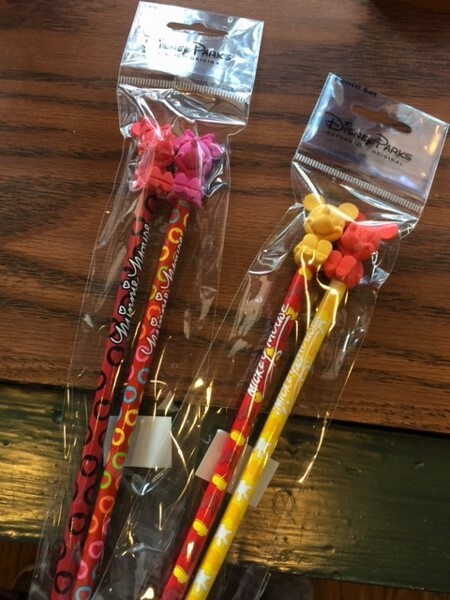 Backpacks, pencils, erasers, oh boy! 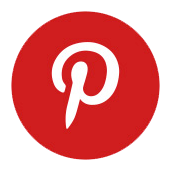 There’s so many new goodies out that I just had to share a few of my favorites. 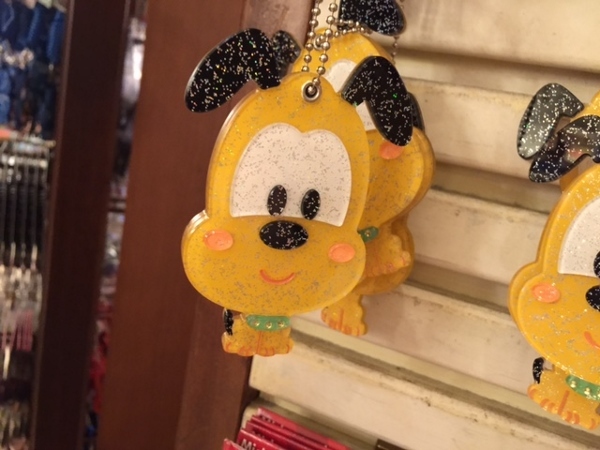 I love looking at school supplies, and this year’s offerings at Disney Parks did not disappoint. 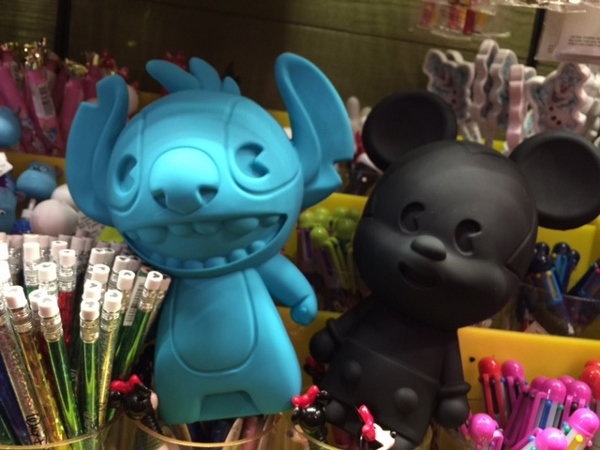 There are plenty of fun pencils, pens, and erasers. 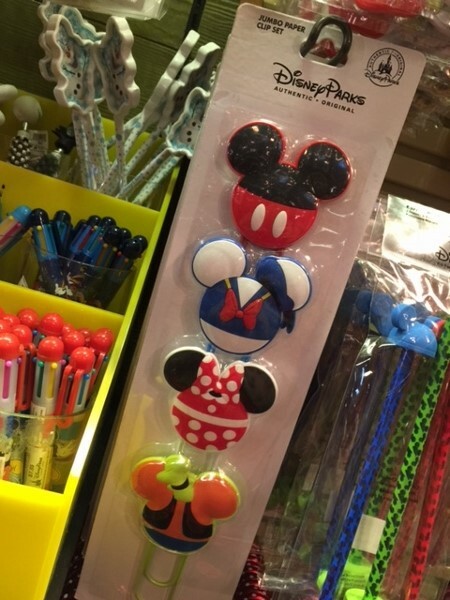 My favorites are the new Mickey pencils in either full character or ear hat form. 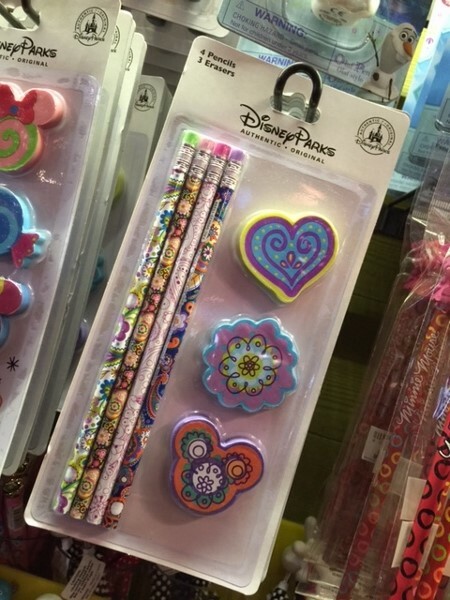 I also love these beautiful pencils and erasers a la Vera Bradley style. The colors are bright but feminine and would make completing that next assignment more enjoyable. 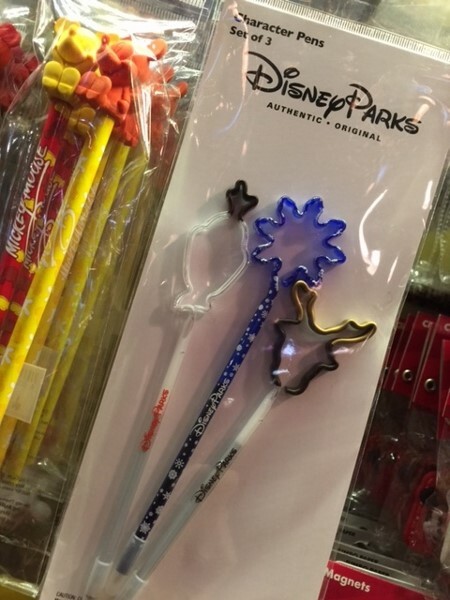 Keeping with tradition, there’s also this set of Frozen pens shaped to characters or icons from the film. 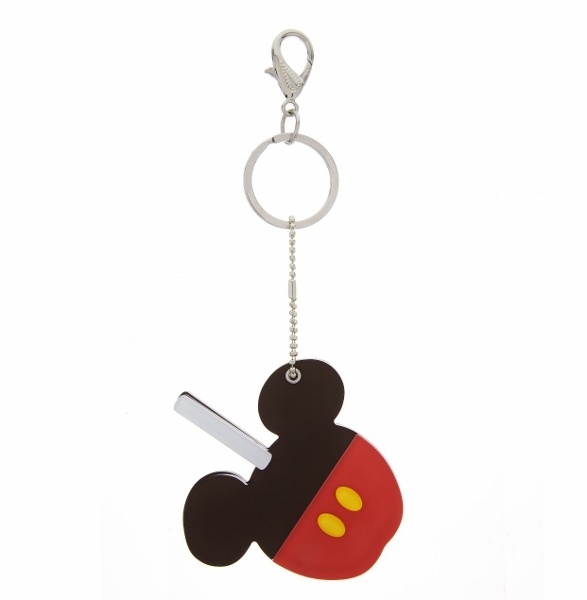 I remember having loads of the Mickey-shaped ones when I was a kid. It’s nice that they’ve added a few other options. 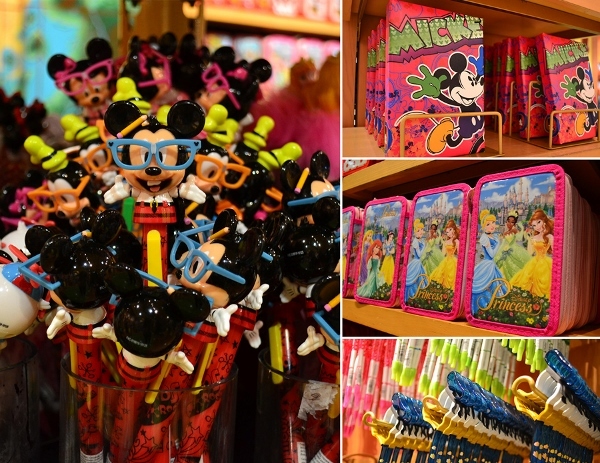 Where else would you store your new Disney pens and pencils than in one of these fun cases? 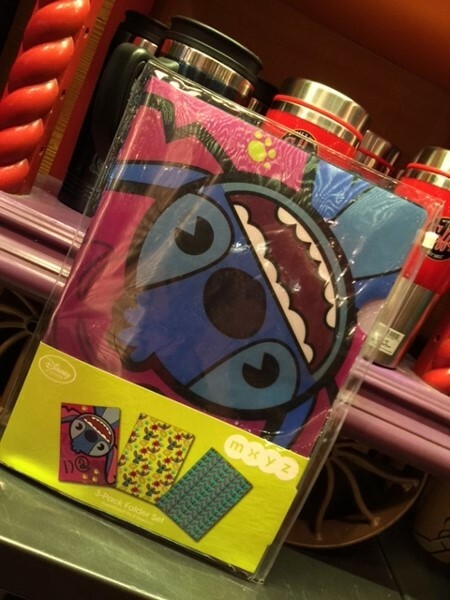 I literally stopped in my tracks when spotting the new MXYZ line of accessories which includes three-dimensional Mickey and Stitch cases! 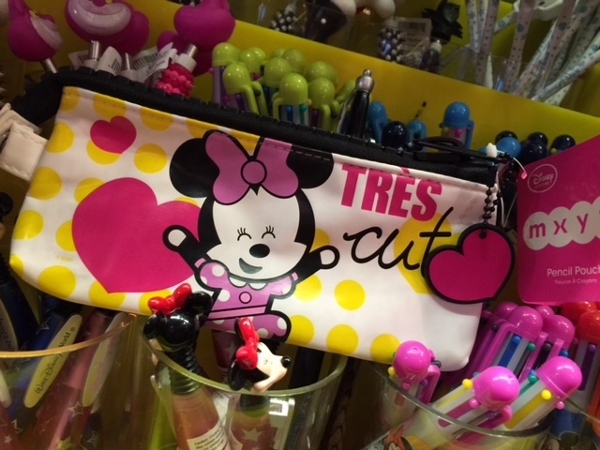 There’s also an adorable Minnie Mouse pouch complete with tassel. 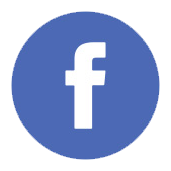 Looking for something to write on? 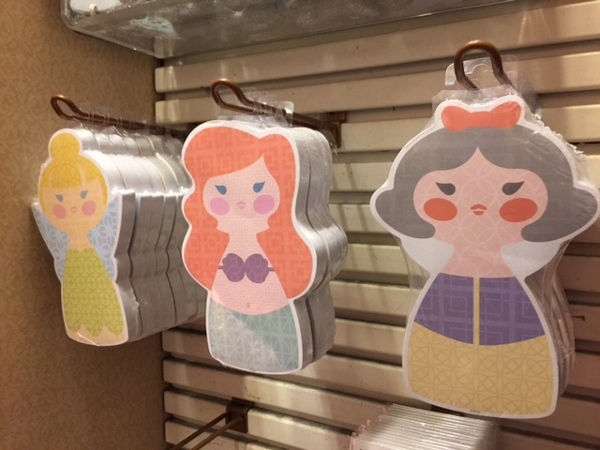 There are a few unique options for notepads in stores right now including this mock Disney film intro screen. 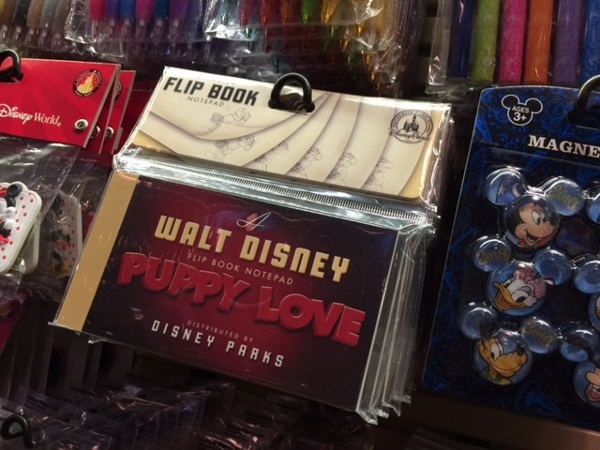 It is a flip book notepad featuring scenes from the classic cartoon, “Puppy Love.” There’s also a version based on the “Sorcerer’s Apprentice” from Fantasia. 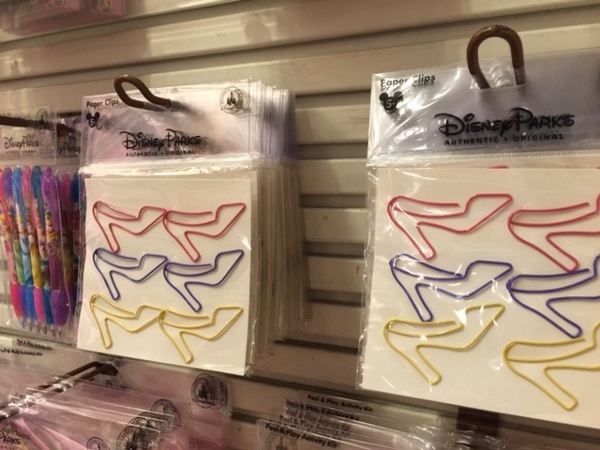 Folders and themed clips can be found on the shelves, too. 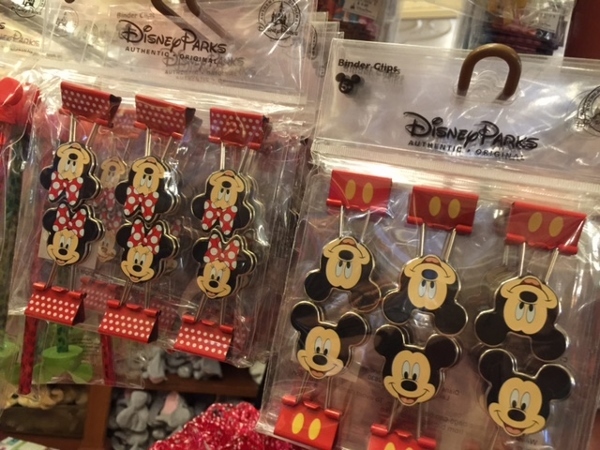 Both the princess paper clips and Mickey and Minnie binder clips are high on my list. 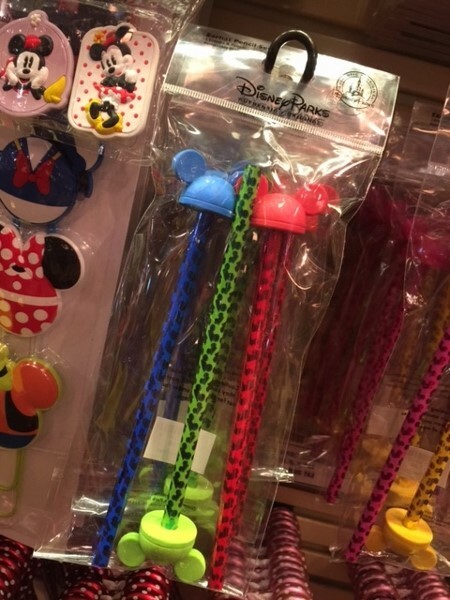 There’s even a set of jumbo size clips for those extra large assignments! 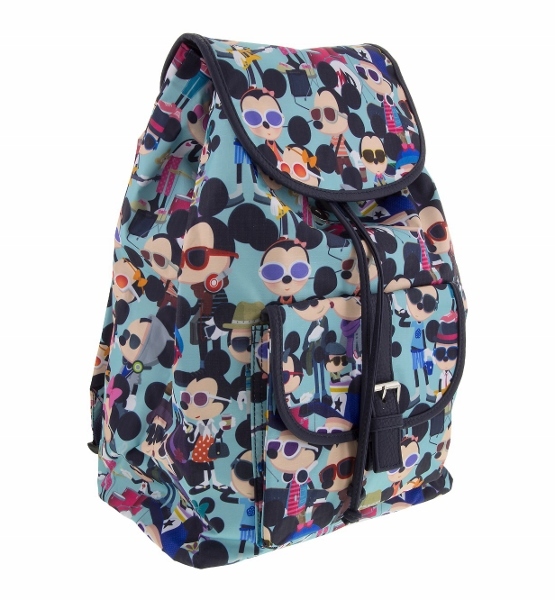 To keep everything “neat and tidy,” there are a few new backpack options now available. 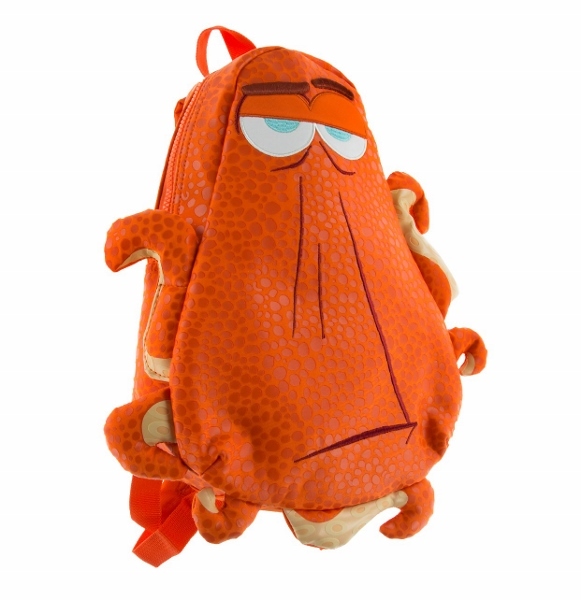 This Hank design from the box office hit, Finding Dory, will definitely bring a small to the faces of passersby. 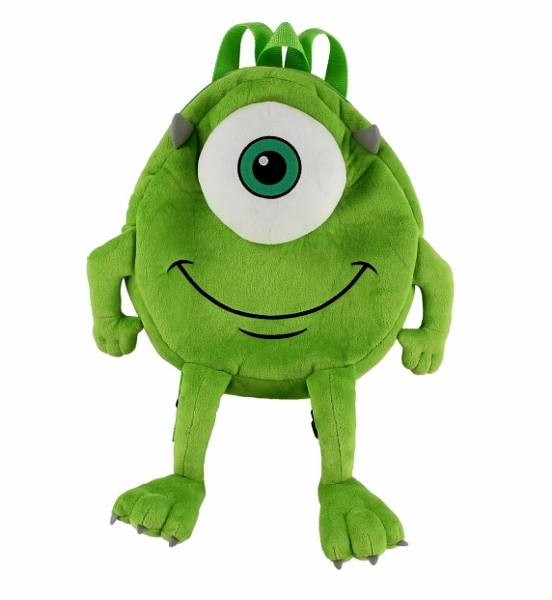 There’s also a Mike Wazowski option which features the one-eyed star of Monsters Inc.
More traditional style backpacks can also be found, all of which feature a bit of Disney fun. I adore the Minnie & Daisies print the best. 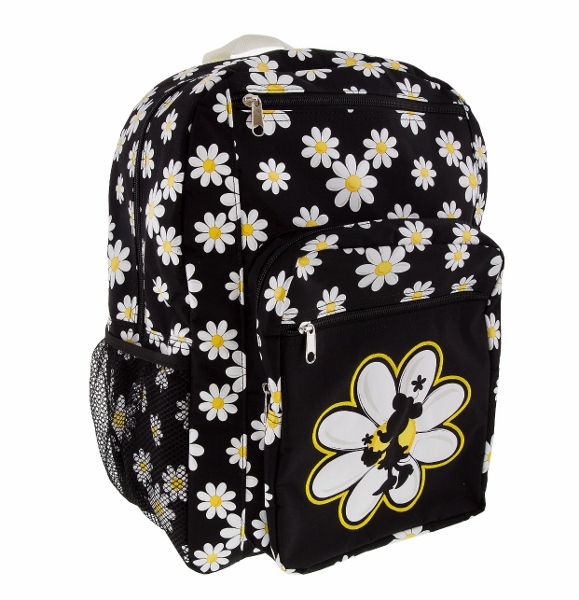 It is made of polyester and offers several pockets including one for a water bottle. 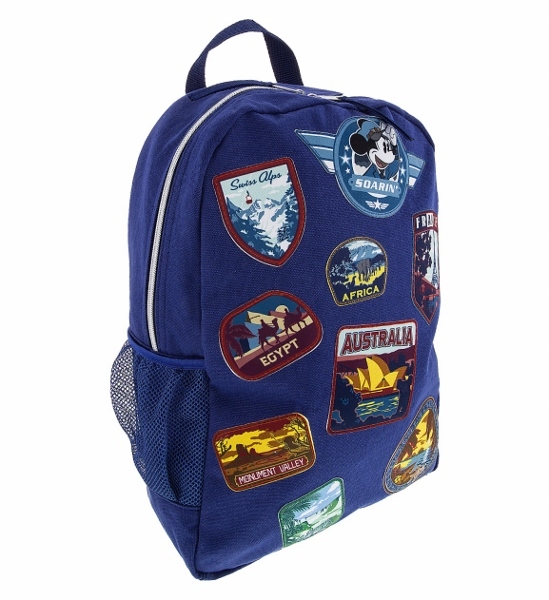 The Soarin’ Patches bag is another great option that pays homage to the popular attraction. 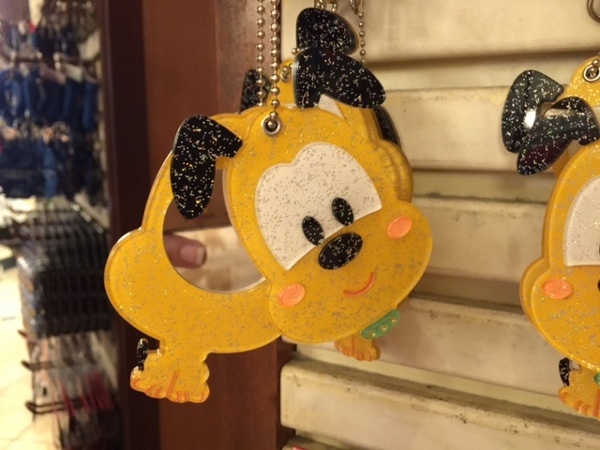 To top off the look of these bags, check out these sweet mirror keychains. 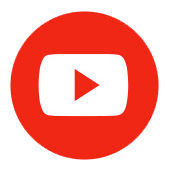 They come in a variety of characters and themes. Twist the front piece to the side to reveal a hidden mirror! Functional and fun! 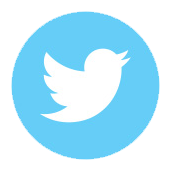 I hope that you have enjoyed looking at some of the merchandise ready for the new school year. Happy shopping!